Takamaa Collective was formed in spring 2017 by sculptor and environmental artist Jenni Tieaho, visual artist and photographer Anni Hanén and musician-composer Johanna Pitkänen. In their collaborative projects sculptures, images and music all weave their unique parts into the shared story. Jenni Tieaho has been working as a sculptor and environmental artist for 18 years. Her works have been displayed in numerous galleries and museums. Tieaho thinks of organic materials as a "nationality" to which she belongs. "I weave and knit like a spider" is her way of describing her time-consuming and skill requiring way of working. Anni Hanén is a visual artist and photographer whose works have been shown both in Finland and abroad, in private exhibitions as well as in festivals. In Anni's work, photography represents the power of imagination rather than a way of documenting reality. Her works combine memories and the present, where facts and fiction merge together. 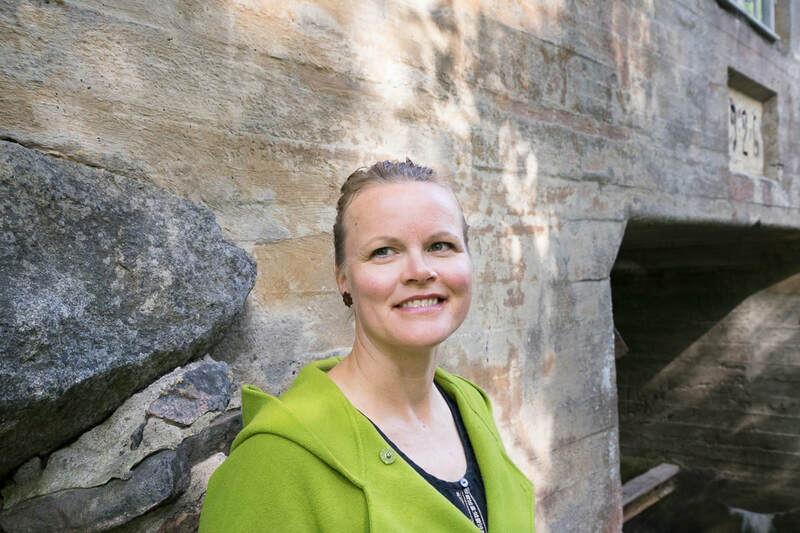 Johanna Pitkänen is a pianist and composer. She has been performing at major festivals in Finland and abroad and has also released two albums with Helsinki-based jazz group Kokko Quartet. Johanna does various cross-artistic collaborations. She's drawn to the mysteriousness in nature and in music. Her working methods combine composition, improvisation and experimenting with different sounds.